We’ve compiled a set of questions that we want you to think about while working on your Statement of Purpose (SOP). These questions also work well for your CV, Essays and Letters of Recommendation (LOR). All of these documents should support your story in a coherent, easy-to-understand and memorable way. These questions are meant to help you bring out your story and show the Admission Committee why you are special. The crisper, clearer and well-backed your story is, the better your chances at gaining admission into their university. What is your dream for the next 10 years? What is your road-map to achieve the same? How will this specific program in these specific institutions, in this specific country, help you? What are your 3 biggest strengths? What achievements demonstrate these strengths? What is your biggest weakness? How has it affected you till now? What have you done about it? What are the 3 biggest achievements at college and/or work? What were the situations, complications and results in each of those events? What are the 3 biggest challenges you have faced in your life? How did you overcome them? What did you learn from them and how has it changed you personally or professionally? Do you want to make your SOP better? Have you showcased the most life-changing event in your life and how it is affecting your career and academic aspirations? Is ‘Why you?’ clear ? Keep in mind that the admission committee looks at thousands of applications from other students. Is it really clear why you have selected a particular university and program, and why is this university and program the best option for your profile? Comments: Quite interesting, direct, new spin to reading and catches your attention in a unique way and professors will remember this student who had her own library! I am honored to apply for the Master of Library Science program at the University of Chicago because as long as I can remember I have had a love affair with books. Since I was eleven I have known I wanted to be a librarian. Comments: Boring because they know which program you are applying for. You are saying nothing of great value, and this is a boring start! One Thursday, I had soldered the 112th green wire on the same place on the 112th TV remote, and I realized the solder fumes were rotting my brain. I decided college would be my salvation. I used to work on an assembly line in a television factory, and one day I decided that I had to get out of there, so I went to college to save my own life. It is always useful to read other people’s work to get a sense of what good essays are. To assist you, TopAdmit provides you some SOP samples written by counselors and editors hailing from prestigious schools including Harvard. This page contains personal statement samples, statement of purpose samples, and application essay samples for college. But please remember, these are for your reference only; it is not to your benefit to copy their style or concepts. It not only violates academic ethics and could lead to an automatic rejection by the admissions committee — the point of our service is to help you construct a unique essay — not one similar to other essays. Is the SOP really important? Students often neglect their Statements Of Purpose (SOPs as they are commonly called), because they often believe that the person in charge of the application process would not have time to go through all the SOPs that are submitted to them. Admission committee members have said time and time again that at least two people go through a single SOP, and that it is often the SOP that is the deciding factor while considering whether a student should be accepted by the university. As SOPs are the only part of your application that you can fully control, taking your time to write an excellent one can only help your cause. When committee members read your SOP, they are trying to put a face to your application. This is where you tell them your story, tell them about the person that you are, while explaining why the program at their university is crucial for your career and future goals. Most committee members agree that when they read a statement of purpose, they are trying to assess whether the candidate is competent and gauge his/her personality. They also pay attention to whether there is a disconnect or connect between the SOP and the letters of recommendation. An important theme of any SOP is the candidate’s enthusiasm to learn. According to Harvard University, the SOP is an integral part of any application and is evaluated with great care by the admissions committee. They want a student’s SOP to include a background, which includes education details, work experience, volunteer work and relevant personal experiences, if any. They also want to know how this background has prepared the student for further education at their university. It is, of course, important to keep in mind that most universities specify what they are looking for in a Statement of Purpose. Reading these guidelines is essential. When students write general SOPs that can be used for different universities, this often puts off committee members, who often reject the student. As universities receive a large number of applications, it is important to make a strong first impression, so that the faculty member reading your SOP will pay attention to what is said throughout, thereby giving you a higher chance of consideration and acceptance. According to Amit P. Sheth, who has over 20 years of experience serving on an admissions committee and is presently the Director of Kno.e.sis at Wright State University, he always tries to assess whether the candidate’s SOP is original. After years of reading SOPs, he says most committee members know whether a Statement of Purpose has been written by a student. He does this because it gives him a good indication of the candidate’s communications skills, which he believes is all the more important for MS/MA/MBA students. He then looks at whether the candidate has done his/her research on the university, the course and the faculty. Very often students write a generic essay that can be used for many universities, which makes him lose interest. Another purpose of a Statement of Purpose is to help the faculty fill in the blanks of your profile. For example, if you have scored badly in a subject and you have a good reason for it, you can mention it in your SOP. Committee members have often said that personal details can sometimes make a world of difference when they arrive at a decision. A candidate with a troubled past, poorer financial background, etc., will be weighed differently from a candidate without any of these problems. SOPs can also be used to explain incidents that played a pivotal role in your life and made you become the person that you are today. While achievements and extracurricular activities would be mentioned in your CV, a Statement of Purpose can be used to discuss interesting experiences further. To summarize, students who write original, honest essays, which intelligently connect their own research interests with those of the university, have a better chance of being accepted or taken seriously by the admissions committee. Masters SOP: Applications for study abroad are a complete package of documents (Resume, Statement of Purpose and Letters of Recommendation) which showcase the applicant’s qualities, marks, interest as well as future plans to the admission committee. Masters SOP or statement of purpose is one of the most important application documents. While the resume and transcripts showcase the current knowledge status of the student, a statement of purpose shows the intent. It is an essay application for students vying for Masters or PhD program in foreign universities. It clearly outlines the academics, interest, future plans as well as the basic information about the university of the student. 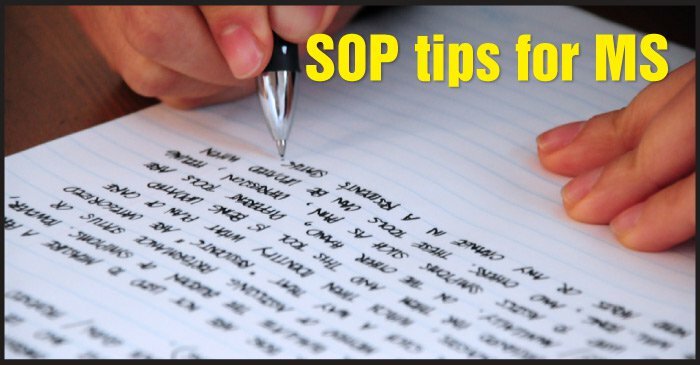 A well written SOP helps applicants highlight their strengths which would not be possible by the transcripts and resume alone. MS SOP: What’s your story? Personalising your Masters SOP is a way to connect with the Admission Committee member and begin your statement of purpose. Your story should be interesting and short. Why have you chosen to do a Masters in this course? What was the point in life when you thought, “this is what I want to learn.” What has inspired you to be in this field? Was it a book, a movie, a person or situation? What have you done to this effect? Academic background in a statement of purpose should be quite exhaustive, highlighting your related academic achievements. It shows your preparedness for a program. While your transcripts merely mention the marks you have scored, a brief write-up on your background will showcase your main field of interest. This section helps you narrow down your course of interest as the subjects become more specialized as you go higher up the academic ladder. Add all academic information you have gained. Do mention the important internships and the workshops that you have attended during you course. Goals are one of the most important sections of an SOP. If you do not have definite defined goals, do not bother applying. Goals show your future planning. They show your awareness regarding the programme and its scope. Goals are divided into two parts, short term and long term goals. Short term goals as the name suggests are short term as in, the next plan after the programme or course usually within a time span of three to five years after the completion of the course. Long term goals would be something you plan to achieve within the next 15 years. For starters, if you plan to work after the course, look for the organizations, positions and job profile require the course you plan to do. For academically bent applicants, do mention what would be the next academic achievement you would like to prefer to add to your curriculum vitae. University paragraph on the SOP shows how much you know about the place you plan to join. This paragraph should show that your interests can be completely fulfilled at this university. Search online for the researches being carried out in the area of your choice. Check out the faculty and their research. What kind of internships and workshops do they have? Also, update yourself regarding the alumni. Some questions that ought to be answered in this section of an SOP should be: Why would you like to join this university? How is this university different from another? What particular courses of this university are you interested in? Are you aware of the research being carried out at the department? Who are the faculty with whom you would like to work? Is the location of the university anyways important for you? Universities need a rounded personality on their campus. While academic qualifications show that the applicant is suited for the particular program, extracurricular activities outline the uniqueness. Your extracurricular activities show your character, they show how you spend your time after the classes, they show that you have the capabilities to keep yourself occupied and meet people in an unknown place. Academic courses are stressful with classes, assignments and exams, students need activities to occupy themselves. Extracurricular activities show that the university fulfils the applicant’s academic as well as extracurricular goals. Like a good beginning, every article or document should have a crisp conclusion which sums up the application. 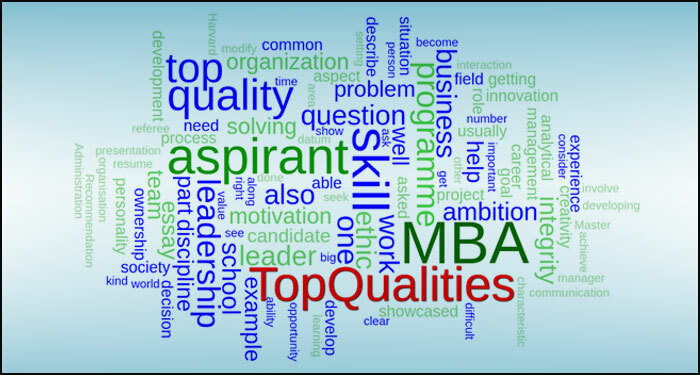 Top qualities of MBA aspirants - MBA is currently the most sought-after graduate programme. However, with the increase in the number of applicants, getting through an MBA programme is a rigorous and difficult exercise. To secure an admit in a prestigious Master in Business Administration programme, a candidate ought to have sound characteristics. Essay questions asked by business schools are framed so as to judge the MBA aspirant qualities. The prime intention of the questions is whether the aspirant is the right choice for the programme. A candidate with the right aptitude and skill will succeed while someone not suited for the field will not be able to cope with the pressure. The important qualities to be showcased in the application documents are explained in detail with examples below. Getting data will not suffice if one cannot present the desired analysis of the data in a very clear, crisp way with the attention-grabbing approach. Therefore, an MBA aspirant has to develop analytical and presentation skills, one of the top qualities of MBA aspirants. These skills are showcased through Letters of Recommendation and goals essay. Referees mention the analytical skills with adequate examples. Any effective top executive needs to be able to communicate well. Though these skills get perfected in a B-school, it actually helps to get through the programme if the skills are honed before starting B-school. With video essays and interviews increasingly becoming common as part of the application process, good communication skills provide a positive aspect in the admission process. An MBA programme is useless if an aspirant does not have clear ambition as well as motivation to achieve ambition. The MBA career path is not for the fainthearted. It is for people who can get hands-on and seize opportunities and challenges. The committee seeks individuals with career dreams and deep resources of motivation and autonomy to realize them. Work experience featured in the resume often becomes a method of judging the ambition and motivation of a candidate to do an MBA. The kind of projects undertaken, the kind of roles played in the projects done, show ambition and motivation for an MBA programme. Emphasize your work done to your benefit. Discipline is one characteristic which is mandatory in any field one chooses to continue his/her life in, an MBA aspirant included. An MBA aspirant ought to be terribly self-disciplined. Not only will the MBA programme involve intensive work, but the number of assignments and classes along with projects also make it more difficult to keep track. To have a decent grasp of the material and to see that the work is being completed timely, you will need to own nice time management skills. Discipline will come handy after the programme as well. One of the top qualities of MBA aspirants, discipline is primarily highlighted in a Letter of Recommendation. As technology moves forward and societies and markets modify, the abilities of savvy adaptation become an integral part of management. Creativity and innovation will not only help you in furthering your aims and ambitions, it will also help you grow in an and with the organization you plan to work with. Part of the leadership essays, creativity and innovation are usually asked along with team ownership and integrity and ethics. Leadership is one of the top qualities of MBA aspirants. An MBA degree is designed for those who have or want to have leadership roles in their organizations. 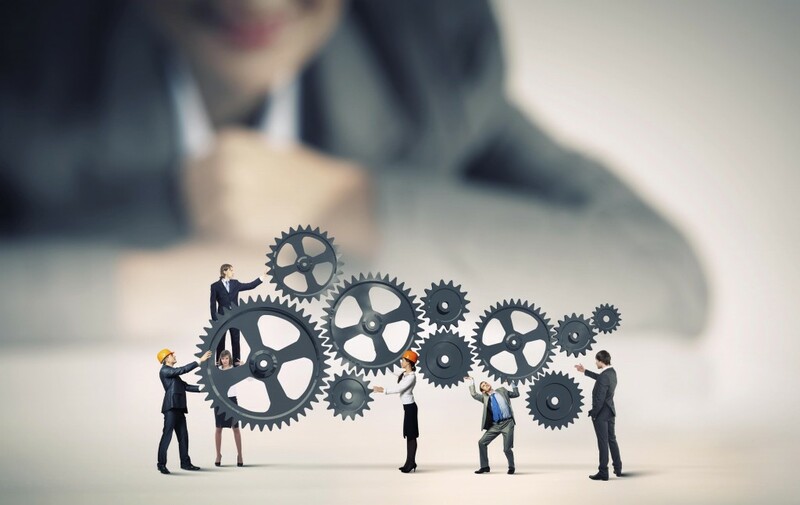 The leadership skills are exhibited in four basic skills: Problem-solving and decision-making skills, integrity and ethics, team ownership and passion for development. For example: Where in your background would we find evidence of your leadership and or potential? Managers need to have all the information to take crucial decisions to help the company. They are also required to be unbiased regarding the decisions to be taken. The problem-solving skills develop from interaction with time and regular interaction with different area experts. It is also not restricted to any particular area or division but keeping in view the entire process or organization. Questions on problem-solving abilities can be direct, e.g. 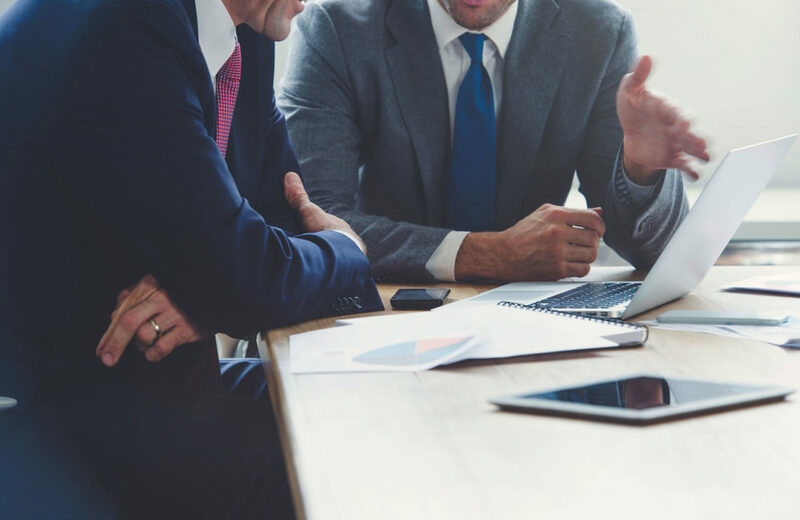 the Boston University School of Management prepares innovative and ethical leaders who understand the impact of business on society and who seek to create value for the world. Please describe a situation in which you created value for an organization or group. What was the outcome? We encourage you to consider your contributions in both professional and community settings. (up to 250 words). Another key skill of a leader. Integrity and ethics go a long way in developing the personality of a manager. Integrity helps in building trust with both employees and colleagues (both senior and junior). It also establishes a manager as the authority in organizations. Also, ethics play a big role in the development and establishment of an organization. Leadership and ethics are inevitably intertwined in the business world. Describe a situation in which you have dealt with these issues and how they have influenced you. One of the most important aspects of leaders. Leaders work with teams. 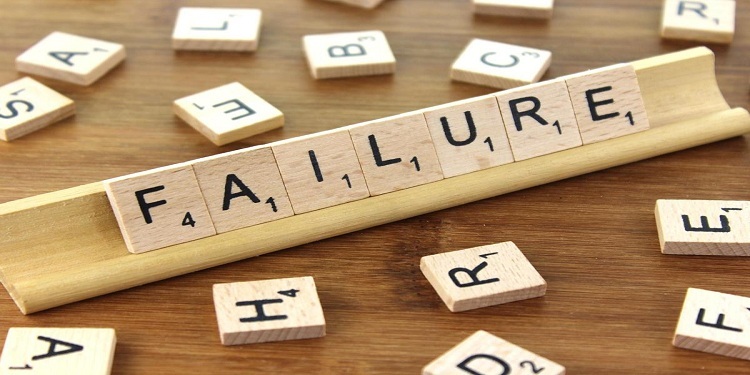 While leaders credit the team for its success, failures are always a responsibility of the leaders. This is one skill which cannot be learned, people are born with this skill. Ownership also includes praising in public and admonishing/criticizing in private. Questions on team spirit usually ask about the experience and the learning. For example: Describe a situation where you had to work jointly with others to achieve a common goal. What did you learn from the experience? Business schools develop leaders who can contribute to society and organization. Candidates ought to show that they can lead others even before setting foot on the field. This does not mean developing with grand and sweeping examples that forever modify the course of history. The examples may be small and meaningful as well as noteworthy. MBA essay questions include questions on ethics and challenges as well as diversity, goals, failure, team spirit and leadership. The MBA essay questions intend to understand the non-academic aspect of the applicant. Ethical dilemma questions aim to gauge the candidate’s maturity in handling issues. Describe a situation in which your ability to perform ethically was challenged. What was the issue, how did you handle it, and what did you learn from it? Describe an ethical dilemma that you faced and how it was resolved. When have your values, ethics or morals were challenged? How has this shaped who you are today? For an incident to be an ethical dilemma, it should follow three conditions. First, there should be a decision-making authority, second, there should be at least two equally difficult choices which do not provide a complete solution and third, irrespective of the solution or course of action taken, some ethics were compromised. MBA Essays are an attempt to know the social side of an applicant. The essay is about experiences of the applicant. The decision maker is the first and foremost condition for the MBA essay on ethical dilemma. If you were not the decision maker, this is not your essay. Please do not write it. 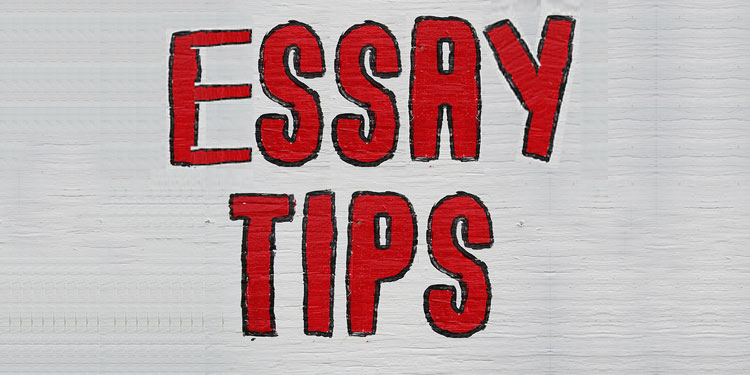 You do not have to be embroiled in a big ethics issue to be able to write down an essay. The focus is on your decision-making skills and not the complexity of the case. 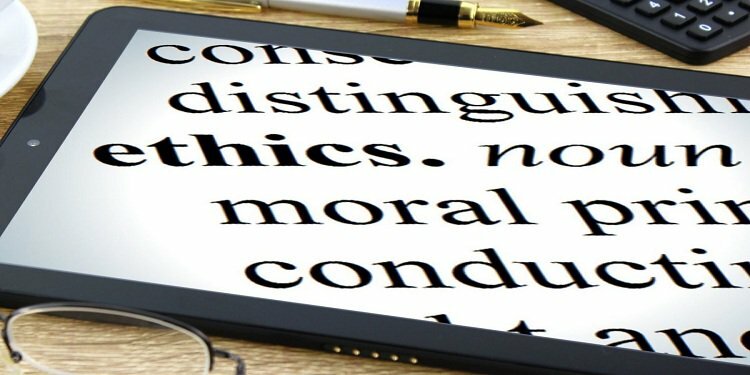 Answers to questions on ethical dilemma are difficult to write because while it should not show you as an ethical person, being portrayed as an extremely honest person is also not recommended. Ethical dilemma questions are aimed to test the applicant’s maturity and judgement skills and not integrity. While answering questions on ethical dilemma, avoid quoting incidences which are illegal and question your integrity. Uncomfortable situations lacking a choice do not qualify for ethical dilemmas. Worked under a tough boss who has made you work hard does not qualify to be an ethical dilemma. Briefly, describe the incident. Also, mention what led to the situation along with your position on the issue. When penning down MBA essays on ethical dilemma, always use an incident which has two or more solutions. Along with ‘ethics’ which is about right or wrong, the anecdote should focus on ‘dilemma’ this is about choosing one of two or more solutions. The situation should have two or more solutions which are equally difficult and unsatisfactory as well as unable to provide a complete solution. Therefore, the choice should not be between a right and wrong solution, but between two or more equally unsatisfactory solutions. There should be a clear conflict in the options towards resolutions. Discuss the circumstances which have caused the situation to arise as well as your personal values that have conflicted in the decision-making process. Along with the incidence, mention the pros and cons of each option and the affected parties. Analyse the consequences of the actions in all the options. Elaborate on how you tackled the situation. Defend your decision. You should also be able to defend or explain why you chose one over the other. Was the decision favoured by all the decision making as well as affected parties? Discuss your decision and how you have reached the decision. Also, the merits it had over the other option? This will demonstrate your ethical decision-making skills. Measuring the impact of the decision is as important as the decision taken. Was the impact as expected? If no, what went wrong? What was the result of your decision? How did the decision impact you? Analyse your learning. What were the lessons from this experience? What did you learn from the experience? Would you do it again if similar circumstances arise? Will you handle it any differently? Will you take some precautions? Apart from the ethical dilemma, B-schools ask questions on diversity, goals, team spirit, leadership, passion etc. 1. How will you contribute to the diversity of the University/School? 3. If you could choose one song that expresses who you are, what is it and why? 4. What is unique about your background and experience that you would bring to your classmates at MBS? 5. How will you contribute to your classes and to the AGSM community? Popularly known as diversity essays, these questions are an attempt to look into the applicant’s non-academic or social background. Diversity here does not only mean cultural, national, or racial diversity. Through the question, the Admission Committee (ADCOM) wants to understand how unique you are. What is the trait about you that is different from others in the course? How will you as a person contribute to the course? Is there something worth learning from you? 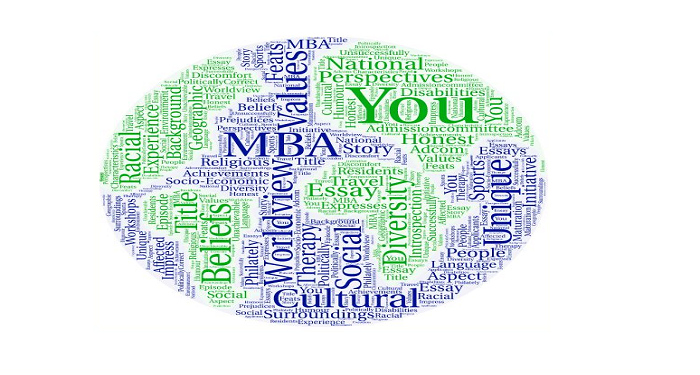 MBA Application essay on Diversity is not just about race; here it is about geographic, socio-economic, cultural, religious, people with various disabilities. Read on to know how to write MBA application essays on diversity. Stuck with your essays? Download MBA Application Essays Samples. Every MBA Application essay should have an apt title, to make the ADCOM or anyone for that matter to read on. While titles are glimpses of what’s to come, they should never be a gimmick. The reader should get more information when they read the whole essay and not feel tricked. As the information about other applicants is not known, deciding why one is unique is a difficult task. Physical achievements know no bounds, it can be a big feat for someone to go down the Grand Canyon but then there might be someone else there who has visited the Challenger deep. The uniqueness has to be about the person and their thoughts and the actions they have taken or the lessons they have learnt. It can be something as basic as philately, pottery, and origami or as big as participating in a Desert car rally. What is notable here is take-away of these activities. Teaching origami or chess to kids, or may be organising pottery workshops for old age home residents as a part of therapy and entertainment, counts towards diversity. For that matter, a sports person, or someone who has learned a different language and experience the culture, or someone who plays in a band, anyone who has shown initiative in his life in however small a way matters. 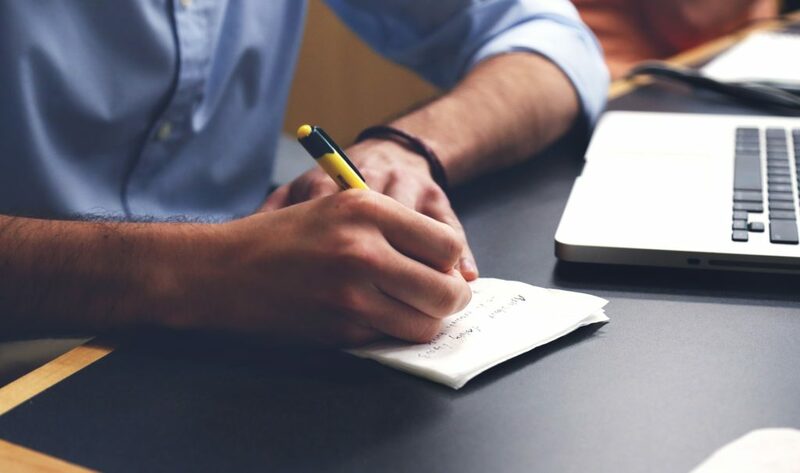 Before writing an MBA application essay, it is important to remember that business schools aim to create future leaders and are, therefore, looking for people with team skills and leadership traits. You do not need to have performed exceptional feats to be able to write about your possible contribution to the school/university. So, in case, you have climbed Mount Everest, which would be very good but if you have led your school group on a treasure hunt successfully or unsuccessfully also works. The aspect to focus on here is to be able to showcase how and to what degree the situations or challenges you have been in have affected or changed you, the changes can be positive or negative, or both. While being honest is good, we should be politically correct at the same time. In the present scenario, racial diversity is not as important as diversity of experience. In case, you decide to write about racial diversity, instead write about cultures, people, family, travel, social discomfort, maturation and introspection without the racial characteristics. The MBA application essay write-up should be more about the diversity observed and changes incorporated within the self. More than prejudices, the diversity essay should be showcasing your response to the situation you were in, what have you learnt from your experiences and more importantly how has it moulded your world view. Similarly, views on LGBTQIA issues should be best avoided. The diversity essay is about YOU, so instead of trying to impress the ADCOM with some great unachievable feat you have been planning, explain who you are, what are your life experiences, perspectives and background. Mention a story or episode from your life which has affected you. There is a fine line between humour and offence. Keep the humour to a line or two. If you have doubts on the humour, remove it. Culturally, what is humour for one person might be offensive to someone else. ADCOM members read through numerous MBA application essays and can smell a fake or doctored essay from a mile. They have already read about all the great feats done and planned. Rather than explaining why you are unique, concentrate on who you are, your upbringing, your culture, your environment etc. to naturally set you apart from the other applicants. MBA Application essay tips: MBA applications require a number of essays to be answered. Different essay topics require different approaches while answering them. But all essays need the applicant to follow some basic approaches. Read on to know about some key MBA application essay tips. The toughest part is writing the essay with clarity. The applicant should have clarity regarding issues or anecdotes while drafting the essays. The MBA Application Essays require applicants to showcase qualities essential for pursuing a programme in management. The essential traits of an MBA applicant are motivation, leadership, team player, perseverance, integrity, analytical as well as innovative. These traits are to be showcased and substantiated in various essays. MBA aspirants compete with numerous applicants with similar backgrounds. You should, therefore, understand how to write an MBA application essay to ensure an admit. Follow these MBA application essay tips to ensure that your essay shines in the competitive admissions process. MBA application questions are very specific. Analyse the prompt thoroughly. The clue to the questions lies in the question itself. There are two parts in this question and the word count is given. The two parts are to be given equal importance and, therefore, ideally should be answered in approximately equal word counts, which in this case is 125 words. One of the most important MBA application essay tips is to ‘Organise your thoughts’. Brainstorm ideas and anecdotes. 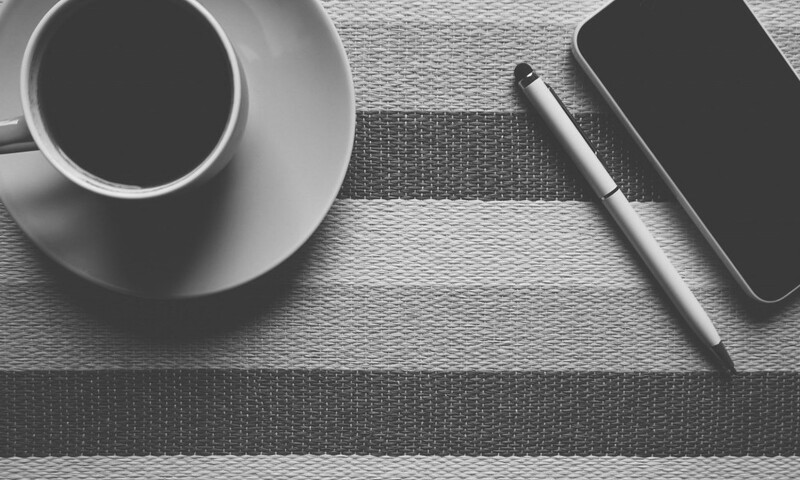 List down all the points you want to mention in your MBA Application essays. A good planning will save you last-minute additions and eliminations from your essays. Do this well in advance to give you time to update and refresh the list. It will also help in removing redundancy from essays. Pick anecdotes which you can elaborate well. Also, one which gives you an opportunity to express our ideas and what you have learned. The admission committee is not only looking for a good story but also your perspective and analysis of the events. The online application space will not accept more than the prescribed word limit making your application incomplete if you try to add more. At places, they allow you to input more than the prescribed word count, however, a longer essay creates a wrong impression. A very important part of any writing exercise — show, do not tell. Rather than mentioning that you worked hard for a project, mention what steps you took to achieve your results. Also, elaborate on the learning of the incident, and if required, realisations for improvement. MBA aspirants have completed at the least their undergraduate degree and therefore the vocabulary of the essays should show the education level of the aspirant. Care should be taken to avoid colloquial words in the MBA Application essays. Keeping that in mind, avoid extremely advanced vocabulary which would require the admission committee to either open a dictionary or overlook your essay. Too many big words make the applicant look pompous instead of impressive. Check the various online language resources like dictionaries, thesaurus to learn the correct shade of meaning and usage of a word. As creators of essays, we believe that we have done a perfect and flawless job. To be extra sure, ask friends, family, teachers and other professionals to review your essay before you submit MBA Application essay. A useful MBA application essay tip is to look for a second opinion as it always helps to identify issues with the content. MBA application essays questions are framed around topics like goals, diversity, ethics and failure. Though the topics are different, your approach to all the essays should be same. The most important point to remember is to practice. Write, review, improve, re-edit your essays. MBA Application essays can make or break an application. 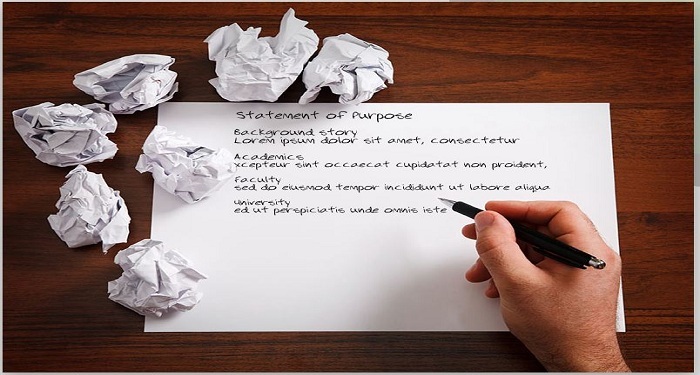 SOP tips for MS (Master of Science Program) - The Statement of Purpose (SoP) is one of the most important elements of the application package for admission to MS programmes in universities abroad.In fact, an SOP is the vital aspect that decides whether your application for the MS programme will be accepted or rejected. The reason behind this is that the SoP reflects your intentions for pursuing the programme. Best thing about an SOP is that you are given a chance to explain yourself through it. More often than not, transcripts and certificates highlight only your academic prowess and that too, not to the full extent of your capabilities. A Statement of Purpose for MS gives you the chance to take the admission panel into the world of your aspirations and the ideas that influence you. For MS programmes abroad, an SOP is a mandatory element. Hence, it is important that you perfect your SOP. Here we bring you some important SOP tips for MS programmes with samples attached to drive home the point. As part of the application package, one of the important things to consider before writing a statement of purpose for MS is your specialization. Make sure you highlight your specialization in the beginning of the SOP itself. Let’s say, you plan to pursue MS in Computer Science. In that case, your SOP should highlight elements which reflect your intention and reasons for wanting to join the MS course. A few areas of my education have stimulated me to think as much as my undergraduate studies in Computer Programming and applied science. I was awestruck by the potential of a computer; in the way it’s faster and more powerful versions revolutionized the working of mankind. “The computer is the most remarkable tool that we’ve ever come up with. It’s the equivalent of a bicycle for our minds.”- This quote by Steve Jobs reverberated in mind every time I entered the computer library to learn programming languages as well as concepts that explain the core of the computer and the infinite possibilities that we can explore through this medium. In this ever-changing world of engineering, where each new day sees birth of new concepts and applications, civil engineering, I believe, is the only field where your idea can be seen and understood directly. It is civil engineering which has made modern bridges, high-rise buildings or ultra-modern condominiums possible in today’s world. I am fortunate to be the daughter of a civil engineer, whose professional influence contributed to my engineering orientation early on. It is always important that you reflect your intention to be a part of the institution for the particular course. Start with your undergraduation- your subjects of interest and move forward with what propelled you to choose the particular course and why do you think the particular university you are applying to will help you serve your purpose. a. During the four years of my undergraduation in *****, I explored the academic as well as practical aspects of ***** in the classroom, as a research assistant and through internships with companies. Past summer, I worked as an intern for the engineering technology company ***** I worked on many projects, broadening my understanding of this field. b. My interest in ***** was sparked off by a lecture by the influential author, ****. It was in his class that I got to ideas and theories that govern us and also understand about sociological influences that affect our daily lives. In fact, the valuable experiences I have gained through my classes in ***** have encouraged me to enrich my academic background in sociology further through joining your institution. Before starting the SOP, write the most important points that have impacted your decision to join an MS course in the particular subject. 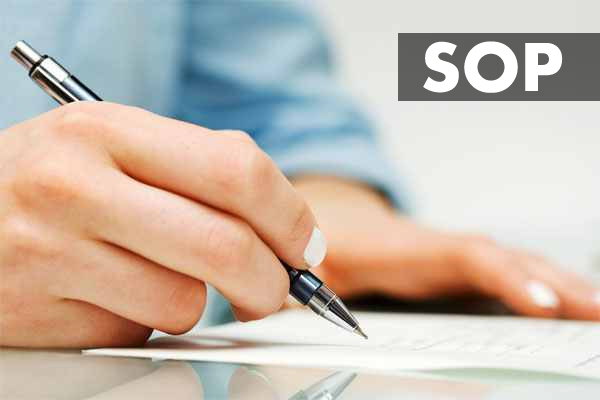 Once you have jotted down the points, analyse them and select the best point to create an angle for your SOP. You can definitely use other points but there should be one critical point that defines your reasons for joining the course. This point could be anything- family, personal, academic. It could also be about a particular incident in your life that influenced you to explore the course further. a. During my school, I worked on a Physics project where I had to construct logic gates and latches using circuit elements. I was so astounded by the Power of Electrical & Electronics that I knew if there is one thing that I would give up anything to understand this. b. I began a round of soul searching, trying to understand my aspirations in life after graduating with excellent grades in computer science from one of the best institutes in (country): (institute). I suddenly got the answer one day, when I realized that I wanted to know how can I learn to apply my knowledge in this field to the daily lives of people. I want my knowledge in Artificial Intelligence to be part of the world’s evolution. Therefore, I believe (university), the world’s leading academy, will be my best next step to pursue my aspirations. Sometimes, universities in the USA, UK, and Australia, among others, demand work experience for admission to their MS courses.Whether you have internship experience or actual work experience in the field, it is always advisable to express your learning experiences in your Statement of Purpose. Point out what you learnt from each experience and how it influenced you to take up further studies. You can also highlight any performance appreciations you might have got in your job to prove your knowledge and interest in the job. a. My need to understand the requirements of the industry propelled me to accept an employment opportunity after my undergraduation. My employment as a Software Engineer at ***** was a very good opportunity to gain training and work experience in the Information Management domain. a. What was your previous qualification? Under-graduation or Masters or any other degree which makes you eligible. b. What is the programme of interest? While this is highlighted in the application form, it is necessary that you highlight your course of interest in your SOP. c. Why do you want to pursue the programme? Give reasons in detail about your intention to join the programme. What are the factors that interest you, what inspired you to join the programme? Mention the projects you have worked on. Ideally, they should be related to the programme. But you can also mention projects that reflect other skills. Try to mention the important clubs or events that you have been part of. The idea here is to show the aspects that influenced you and brought out some quality in you. For those who have work experiences, it is advisable to mention the same with the kind of skills you have learnt in the organization. Take advantage of your SOP to mention your dreams and desires. Highlight ideas which you want to turn into reality through the programme. The important thing to remember about an SOP is that it is a personal statement of intent to join the programme with the university. Hence, it should highlight your personal experiences and how they have shaped you as a person. Maybe, you had some experiences when you were a child which were major turning points in your life and pushed you toward this field or your family members already working in the said field which influenced you to be a part of it. Try to mention fascinating experiences which deliver on your purpose to join the programme. a. Through the opportunities I have had through my college projects, I have found an interest in research work and a strong understanding of problem solving that this field involves. b. Many factors have influenced my decision of pursuing a Master’s of Science degree in Civil Engineering. During my undergraduate days, I took classes from (mentor name), who provided deep insights into many aspects of the civil engineering.